Your cart looks sad. Please log in for a better experience. Save items that tickle your fancy here —but log in or create an account for a faster experience. 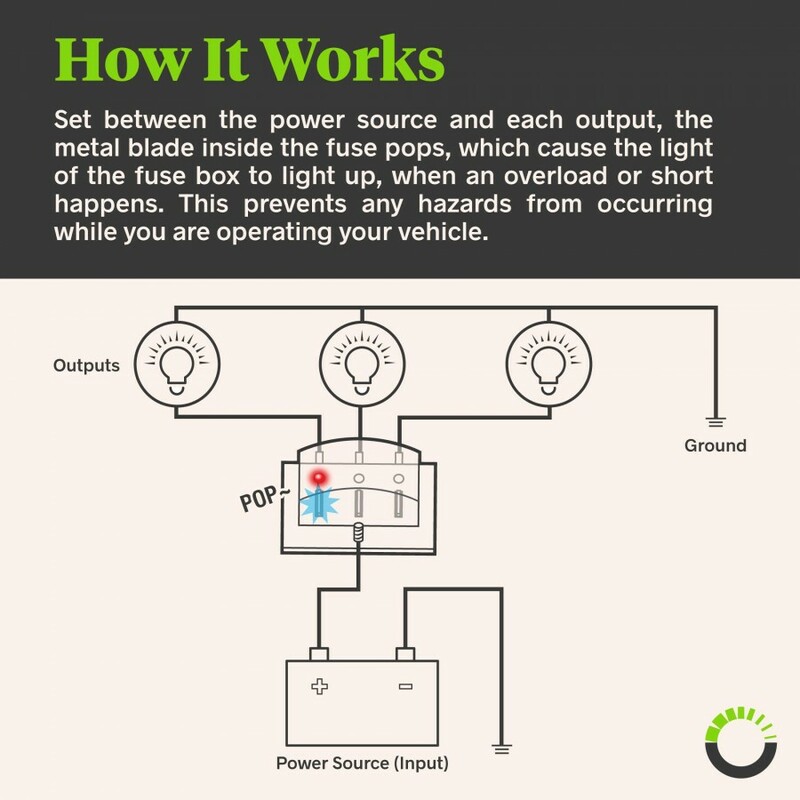 Red LED illuminates when fuse is blown. 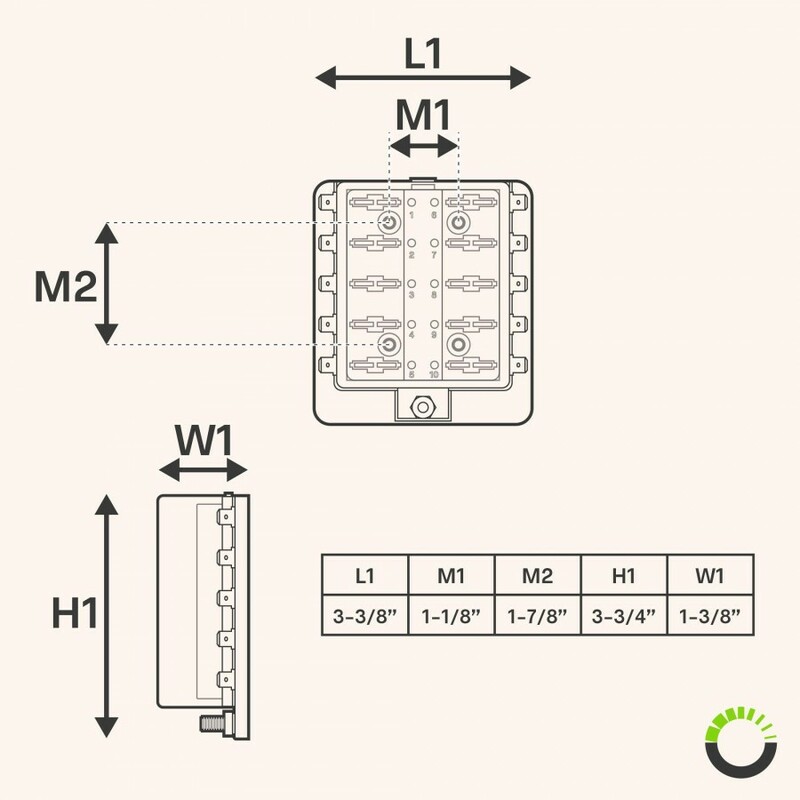 Maximum of 30 Amp per circuit and 100 Amp per panel. 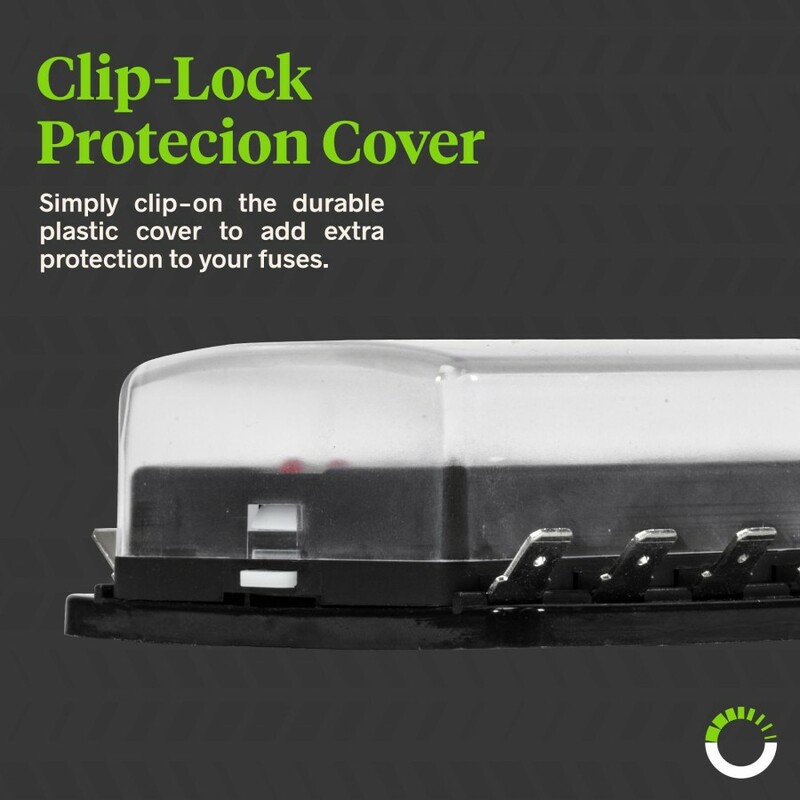 Clear cover included for additional protection. 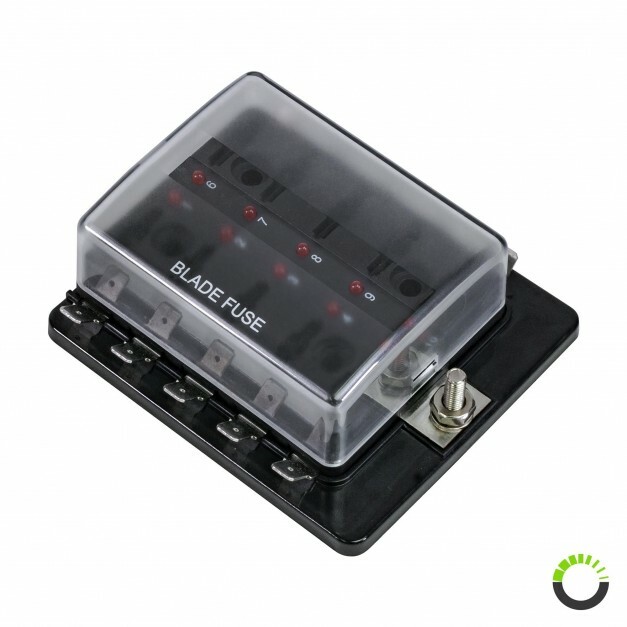 This 10 way ATC/ATO blade fuse holder box is compact, yet rugged in construction. 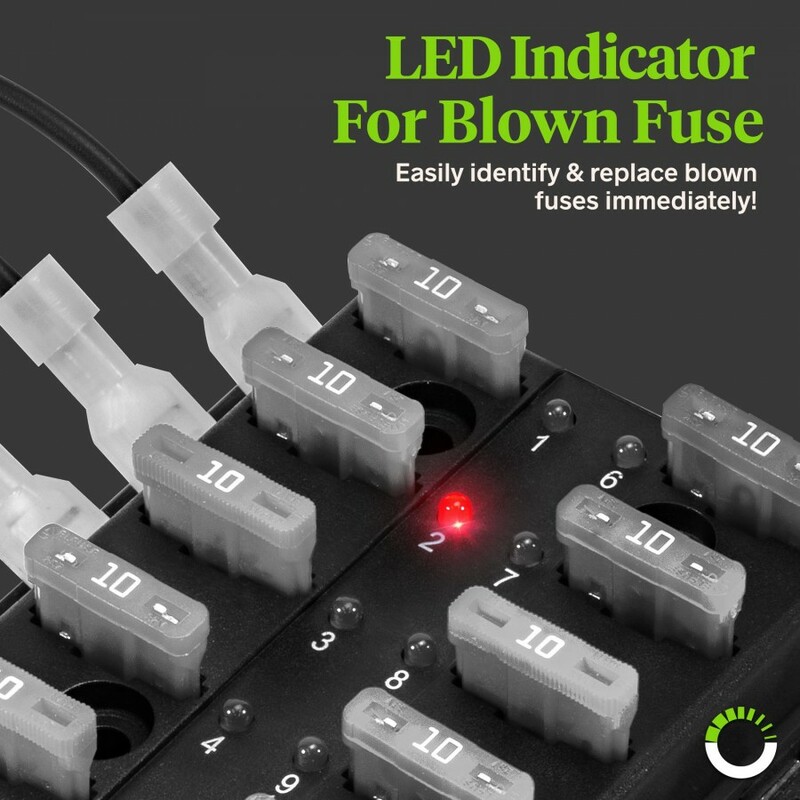 LED illuminated, the red LED indicator light allows you to quickly diagnose which of the fuse has “popped”. 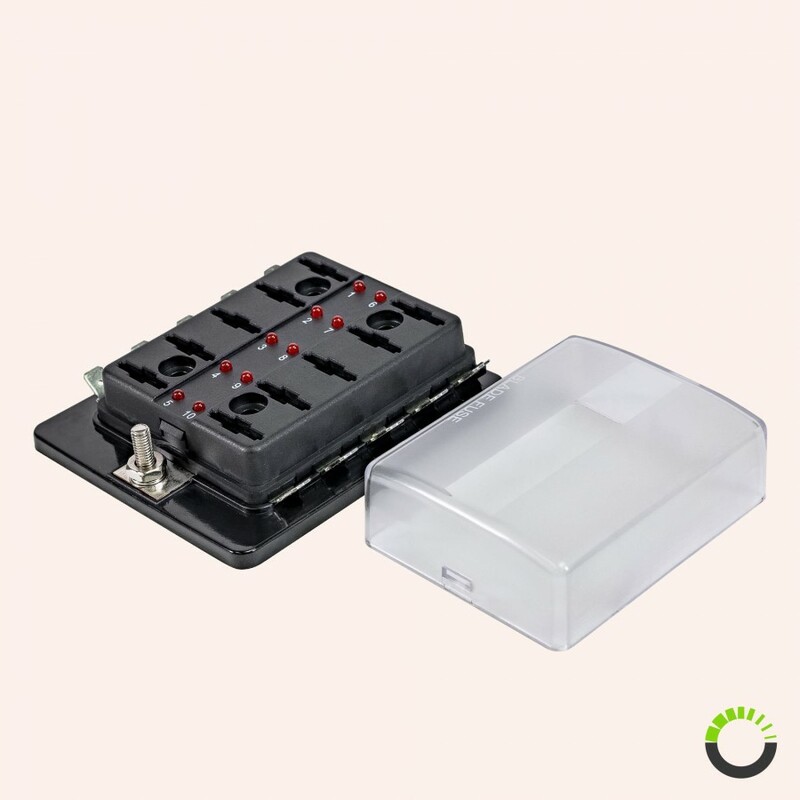 This fuse panel has a #10-32 stud for power feed, .250” male quick disconnect terminals, can take an input voltage of 10 – 32 V DC, can handle a maximum of 30 Amp per circuit with a maximum of 100 Amp per panel, and has a cover for additional protection. 10-Way 100A LED Indicator ATC/ATO Blade Fuse Box w/ Cover"
Quick delivery. Feels very sturdy, well made. Install tomorrow for my new fog lights. will leave another review after installation and usage. Five Stars for great service. 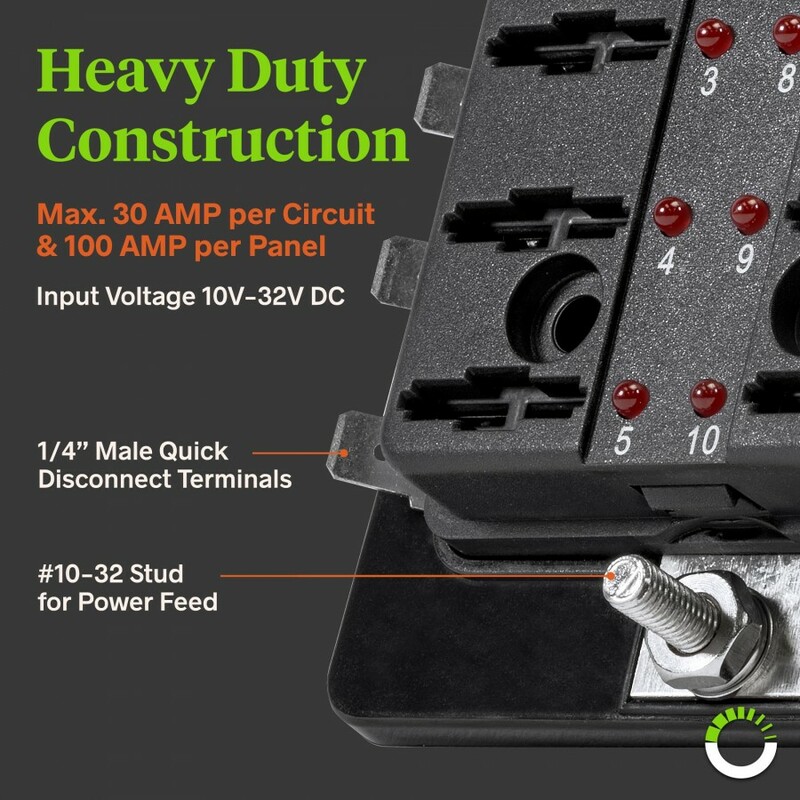 This is a great item does a great job of tracking completed circuits. Help us help you. Let’s stay connected. You have successfully joined our mailing list. We look forward to staying in touch with you. You’ll be receiving an important email asking to confirm your subscription. © 2019 Online-LED-Store. All Rights Reserved.